Holy moly here we are, the last month of 2016! What a bonkers year it has been not only in my home but in the world. I am going to finish this year strong but I can’t lie when I say I am looking forward to being done with 2016. Each month I update my goal list and in that way keep both of us encouraged. 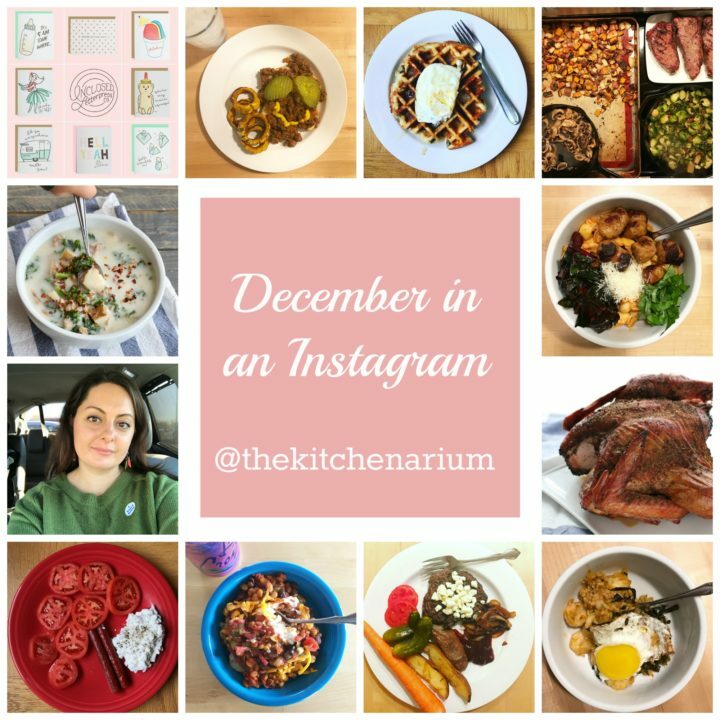 Follow me on social media (I am thekitchenarium everywhere online) to check in with me and to also share your resolutions/goals/mantras with me. November’s Goals have been updated with what I was able to accomplish if you want to hop back and check them out. Not only do I reflect each month on my monthly goals but I also take a scroll back through my Instagram account to see what I captured. It is always so much fun putting together my insta-collage and see what was happened during the month. Start half marathon training YES! R&R it’s been a crazy year and I just want to enjoy this month, at a slower speed, with my family YES! Last month I read four cookbooks and started reading Harry Potter with the kiddos and the next in The Dark Tower Series: Wizard and Glass. I wasn’t able to finish them so I am hoping to find the time this month. Check out rest of my monthly goals posts HERE. *this post contains Amazon Affiliate links. If you make a purchase through one of these links The Kitchenarium will earn a few cents at no extra cost to you. Thank you for supporting The Kitchenarium!